If a person is retired or about to retire, getting a loan on a car title might be an option worth considering, if they need additional money in a short amount of time. Traditional lenders like big banks may not even consider that person for a loan because of their income status as a retiree. An older person may also be reluctant to borrow against the home where they live for obvious reasons. Seeing if they qualify for a car title loan could allow them to receive a check quickly – and retain the use of their car. Retirees may need an auto title loan for a variety of reasons: to cover a medical emergency, to help a family member in need, or other unexpected financial problems. We understand a borrower’s needs and will try to work with them to get them funding as quickly as possible if they qualify. Whether they are retired or not is not a determining factor in qualifying on a loan for car title. The borrower’s income and their ability to repay the amount they’re borrowing. It’s okay if they’re on a fixed income in retirement, but the monthly income will need to allow for them to repay the loan. We also run a quick credit check. We don’t have a credit score requirement, and the credit score is only a small factor in determining whether or not a person will qualify for a car title loan. Remember that we also require some form of car insurance on the automobile that is being used to take out a loan for car title. We want the borrower to be protected while they’re using the car during the term period of the loan, even though we hold the title. 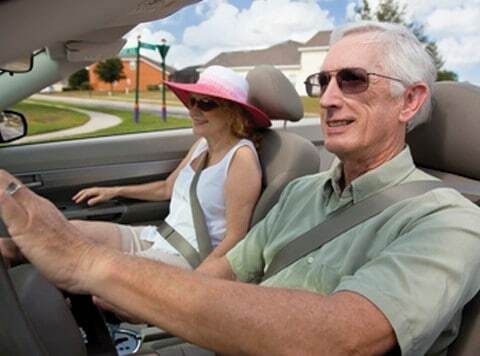 Retirement doesn’t have to be a limiting factor if a person needs money quickly and still need to be able to use their car. It’s also easy and completely free to check online to see if they might qualify. Applicants need to provide us with some basic information about themselves and their car, but don’t worry: we care about our customers and we protect all of the information we use to see if someone qualifies for a car title loan.